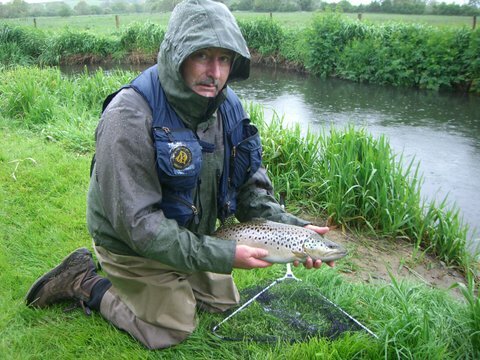 A stunning fish, sight fishing and taken on an emerging Mayfly pattern in the pouring rain. It wasn’t weighed but it is estimated to be well over 4lb!! Gavin said “waiting 9 years to get in the club was well worth it” and I don’t think he has stopped smiling yet! 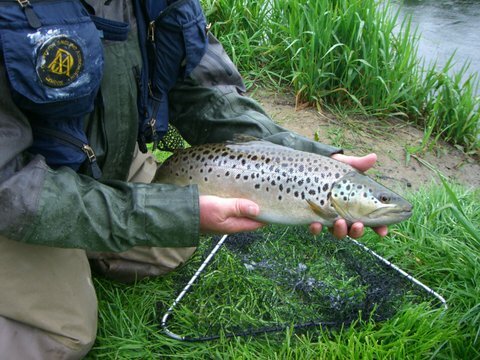 Where did he catch it, all I know it was somewhere on the Club’s water! !